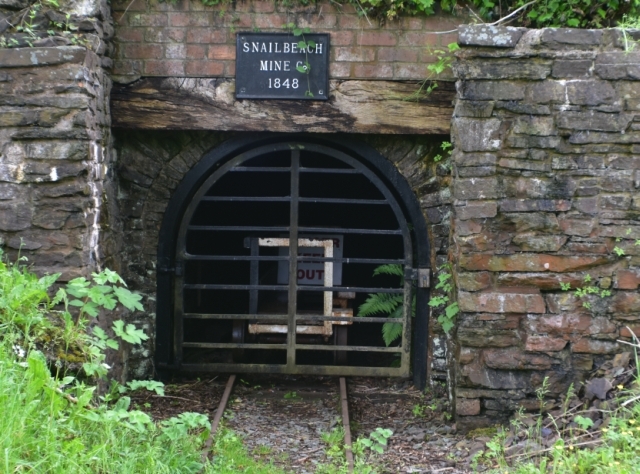 Dating back almost 2000 years, Snailbeach mine was the largest lead mine in Shropshire and during its heyday, during the mid-late 19th century, was the largest lead producer in Europe. It has 12 miles of underground workings and a deepest level of 1505 metres. 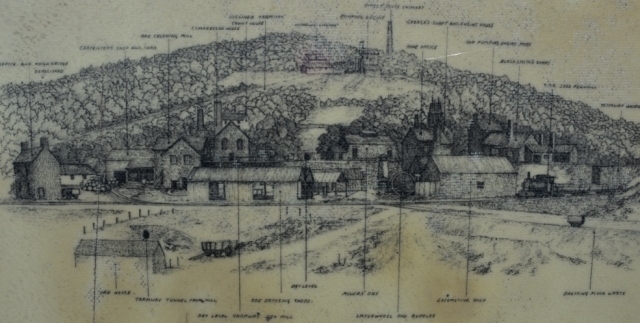 Underground mining ceased in 1955, but some reworking of the old spoil heaps continued until the 1970’s. 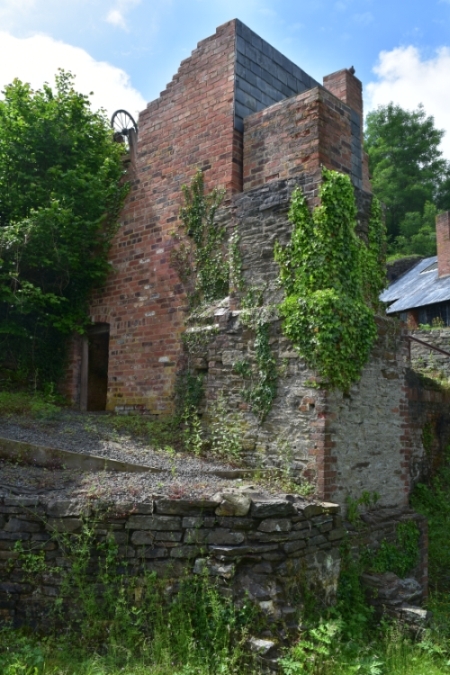 The mine is managed by the Shropshire Mines Trust (SMT) who, together with Shropshire County Council, won funding to make the site safe and restore many of the derelict buildings. 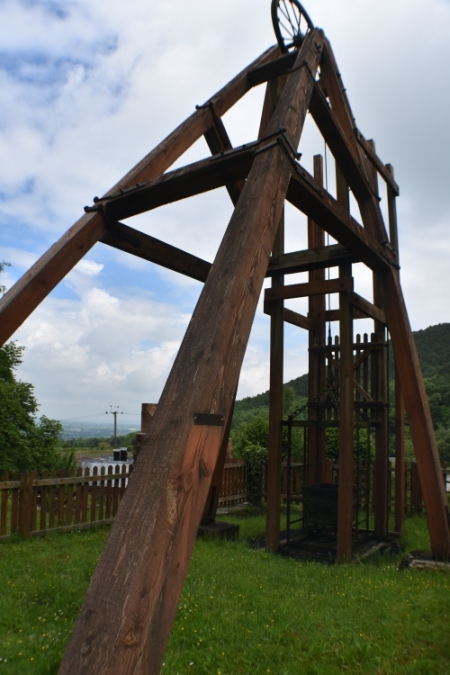 There is a vey informative leaflet that describes walks of different lengths around the mine site and it can be found on the SMT website here. The mine visitor centre is opened on Sundays between Easter and October, when short tours into the mine are also available. 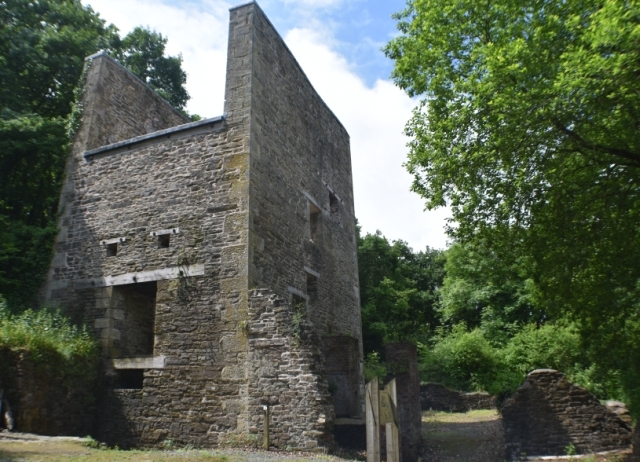 Otherwise, those of us interested in our industrial history can freely walk around the site and we strongly recommend the SMT leaflet as it gives you so much background information. 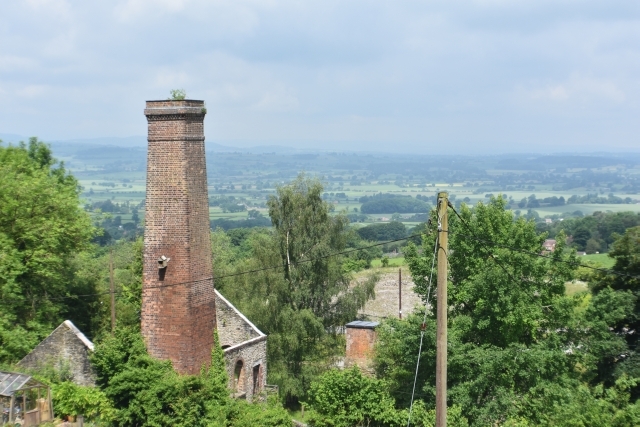 The mine area is extensive and apart from the historic mine buildings offers good views of the surrounding Shropshire countryside. It is high up in the hills and exposed and certainly not the place to be when the rain is hammering down ! Lead has been an important material in our lives and its chemical symbol, Pb, is derived from the latin word for lead, plumbum. 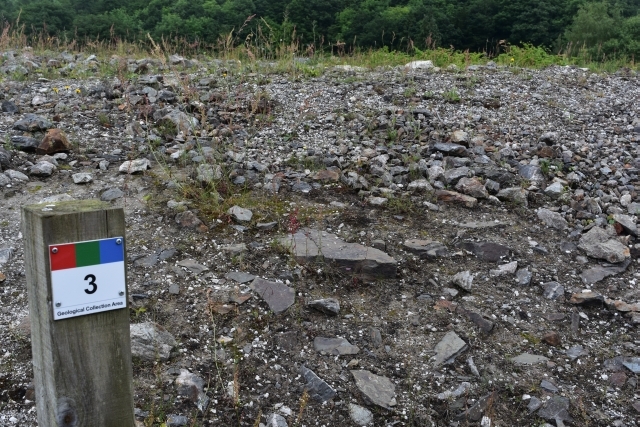 There is evidence of Roman lead mining activity at Snailbeach mine. The Romans would have used lead for water pipes, bath and aqueduct linings, and their winemakers insisted on lead pots or lead lined copper pots for boiling crushed grapes. In medieval times lead was used for coffins, tanks, roofs and guttering. It also became widely used in stained glass window making. Nowadays 50% of lead produced is used in car batteries. Other uses have included beauty products, paint, radiation screening, munitions, diving and fishing weights, solder in the electronics industry and in petrol as lubricant. Lead is poisonous, though, so most industries work to reduce our exposure to it. As non-metallic materials Barytes have an unusually high density. The name is derived from the Greek barys meaning heavy. An early commercial use was as a pigment in white pottery which was famously produced in the Wedgewood works in neighbouring Staffordshire. As with lead, barytes can be used for radiation screening, and barytes from Snailbeach mine were used at Windscale after the nuclear accident of 1957. They can be added as fillers to brick or concrete for use in radiation sensitive buildings, for example hospital x-ray departments. Today the largest use of barytes is in oil field drilling mud. Other uses include as a white pigment for paint, or fillers for weighted products such as paper, cloth or plastics. Apparently, playing cards deal so well because barytes are added to the paper during manufacture! Zinc is the fourth most used metal after iron, aluminium, and copper. It has been used since ancient times as a component to make bronze, an alloy of copper and zinc. The main use today is in galvanisation to protect other metals from corrosion. It is also an important mineral for the human body and the earliest known medicinal pill was zinc carbonate found on a roman shipwreck from 140BC. Fluorspar is the processed form of fluorite which is calcium fluorite (CF2). The main uses include metal making, chemical production of hydrofluoric acid and CFCs, and ceramics and glass industry. 20-60 lbs of fluorspar are used per ton of metal in order to remove impurities such as sulphur. As the sun was out we choose the longest walk around the mine. This takes about two hours. 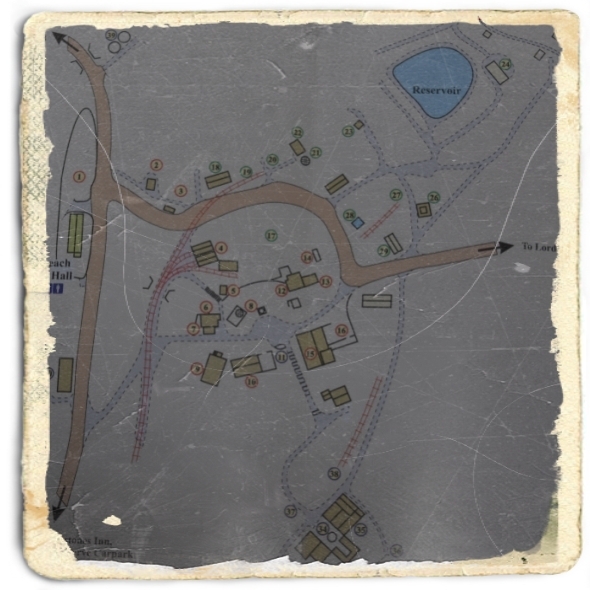 The trails start from the village car park which was once the area where the barytes were crushed and prepared for selling. Soon after leaving the car park you come upon a spoilheap left for visitors to rumage around on and try to find interesting samples. It was quite surprising that rocks of the same size could have such different weight. What Can You Find on the Visitors Spoil Heap ? 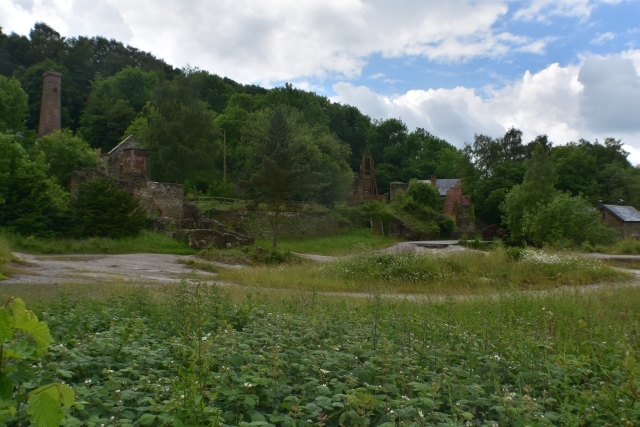 Just over from the spoilheap was the main mine site and buildings. The mine has a long history, but it wasn't worked continuously for all that time. 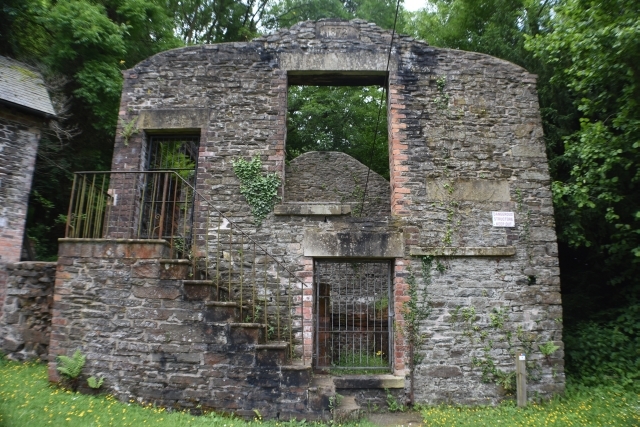 For long periods it lay abandoned until demand for lead grew during the 18th century and miners arrived at Snailbeach once more to extract galena and other minerals. As the mine prospered and the industrial revolution kicked in, a small narrow guage railway with steam locomotives was built. 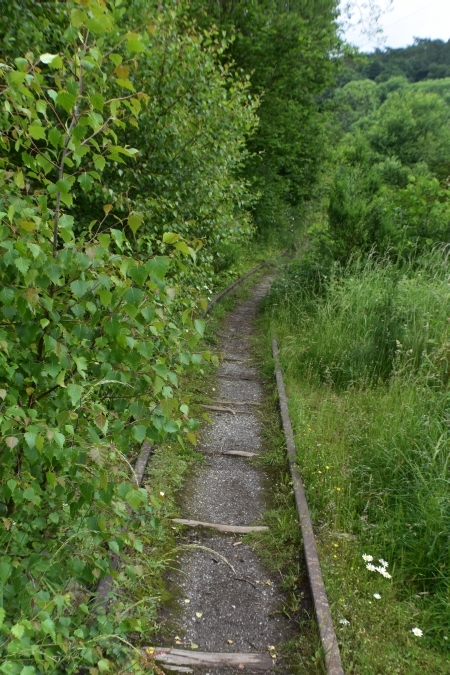 This was the Snailbeach District Railway and ran to Pontesbury. 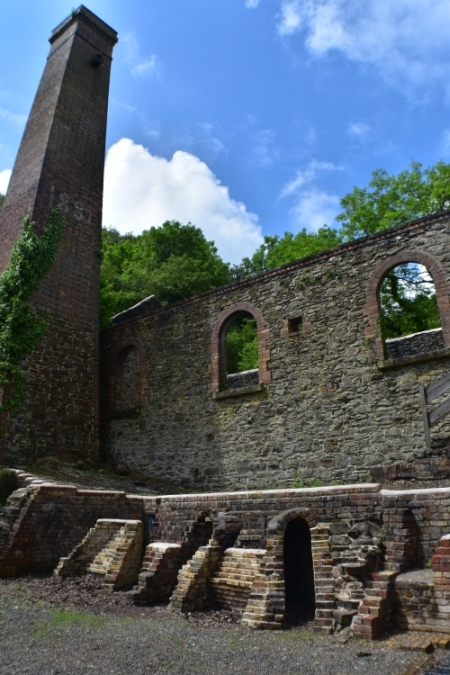 Materials were taken away from the mine and coal for the steam engines that were now used to maintain and run the mine brought to the mine. The area around the 750 foot deep Georges Shaft is crowded with buildings. 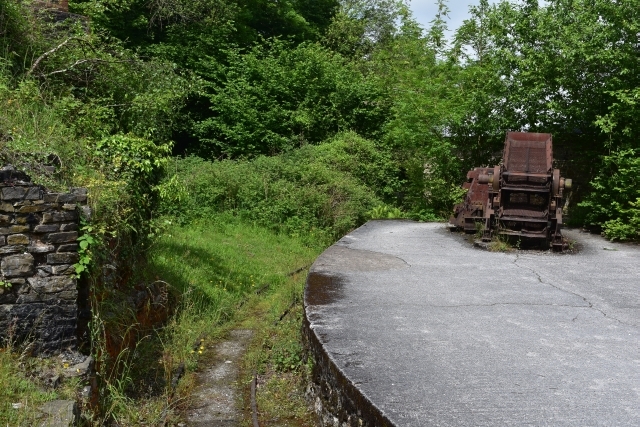 At one time this would have been the main hub of the mine. 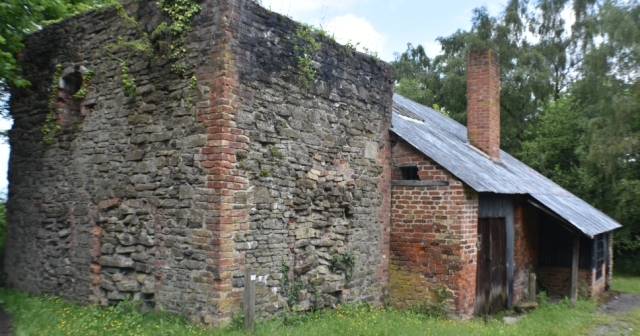 You have the mine office, blacksmiths shop, an early pumping engine house from 1790, and a later engine house that held a horizontal steam winder from the 1870's. What is now the Visitor Centre used to be a room where the miners dried their work clothes over the steam pipes. Mined material would have been brought out using an iron or wooden kibble (bucket). The whim, winding engine, would initially have been a horse, but was later driven by steam power. Sadly, it was in this shaft that seven men lost their lives in 1895, when the rope attached to the cage they were descending in snapped. 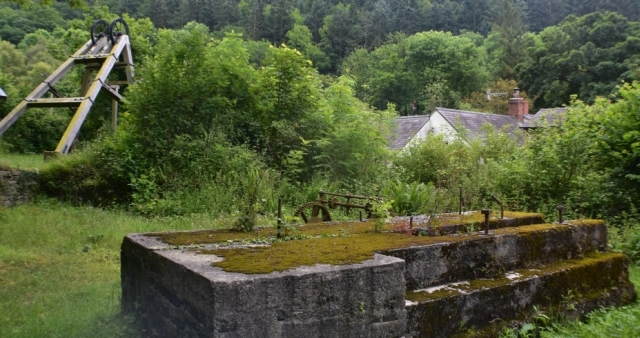 Further along the Snailbeach Mine trail is the compressor house dating from around 1880. 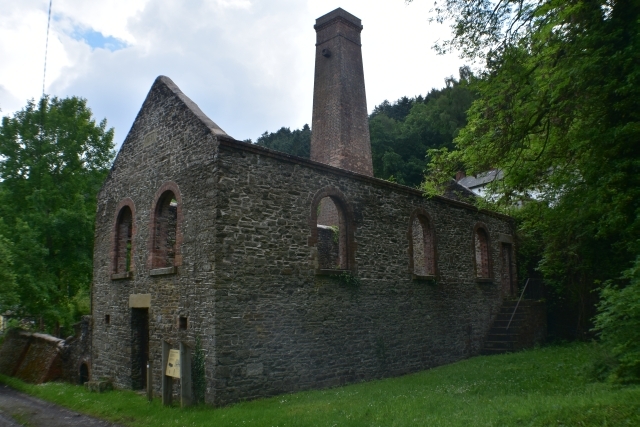 This was yet another advancement in mining as this building contained machinery to supply compressed air for rock drills and improved ventilation. The Tom Black shaft is 120 feet deep and was mined for gelena and barytes between 1820 and 1930. Around the mine head you can find a number of old bits of mining equipment. 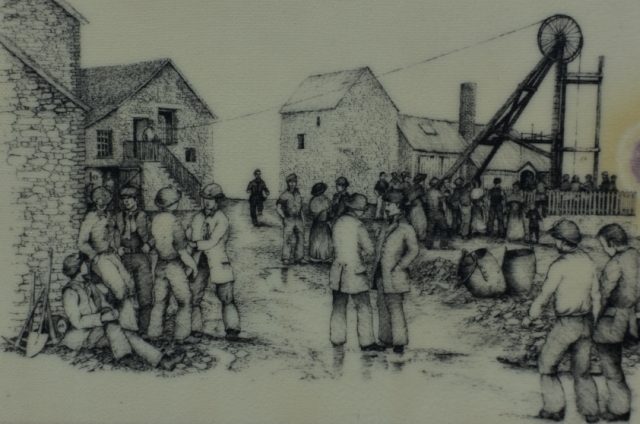 With the introduction of steam power to the mine, water also became a necessity. 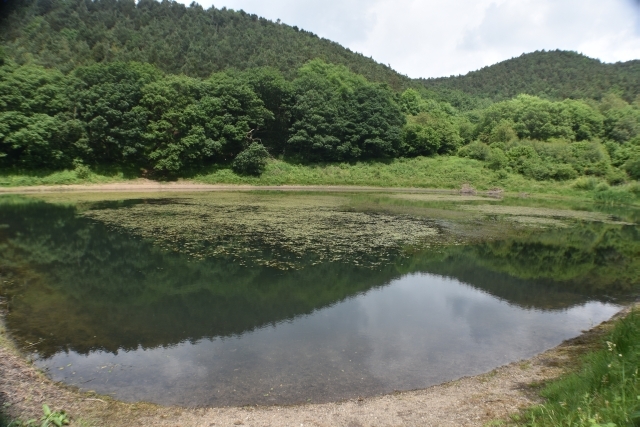 A number of reservoirs were required. During our visit the larger reservoirs was peaceful and brimming with wriggling tadpoles. Wandering around Snailbeach Mine, you can see how mining changed over a relatively short period. 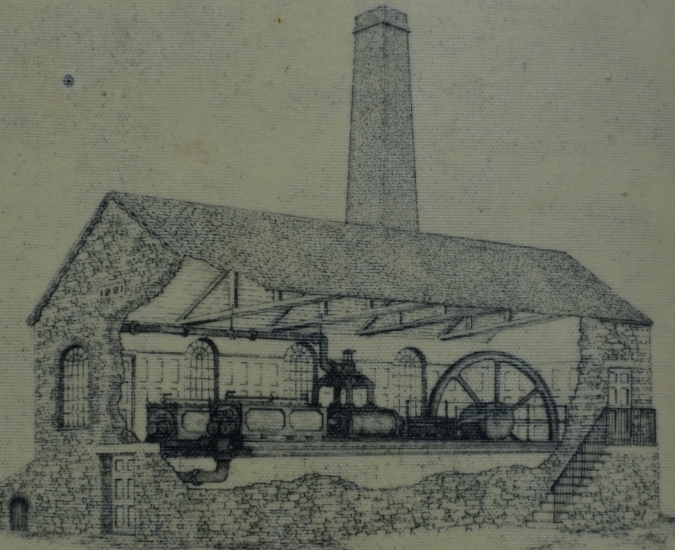 The introduction of steam power made certain very manual jobs much easier and output from the mine increased. Despite those improvements, mining would still have been a very hard, dirty, tiring and dangerous occupation. Underground, the miners would have been working by candlelight for between 6 to 8 hours per day. They would stress and crack the rock by lighting fires and leaving them overnight. In the mornings they would spray the rock with cold water, hoping the thermal stress would create cracks they could use to break down the rock. 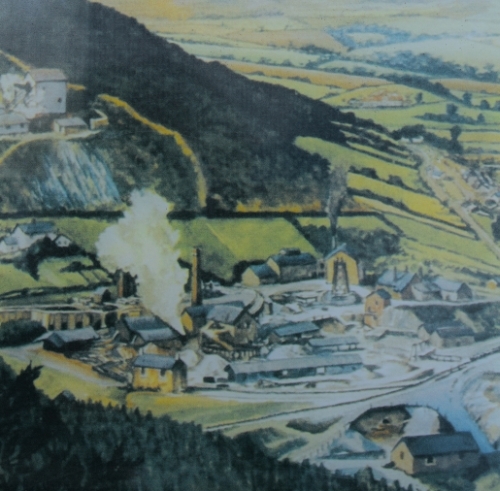 Later miners had the use of gunpowder. There is an explosive store still standing at Snailbeach. From around 1880, thee miners then had compressed rock drills. Although these drills made the job easier they created so much dust that it caused many fatal health problems. It's telling that they were given the name 'widowmakers'. All the improvements would have made the job easier, but until electricity became widespread, miners continued to work by candlelight! Mining was a community occupation and whole families would be involved. If the mine prospored then the community prospered. And if the mine was going through bad times then a whole community could collapse and possibly disappear. While father was down in the mine, possibly training his elder sons, young boys of around ten could be pushing the ore wagons out of the mine. The miners wives would work 4 hour per days above ground dressing the ore. Daughters or very young sons might be helping to sort the ore from the waste in a buddle (trough or circular pit), and then dispose of unwanted material. Every family member contributed to the family's income, and while mining families earned a reasonable income, it wasn't easy money by any stretch of the imagination. We really enjoyed our visit to Snailbeach Mine. Exploring the site and all the old buildings felt peaceful, and it seems strange that just over a 100 years ago Snailbeach would have been a busy, smoky, and noisy industrial site. Check out the SMT website, which is full of useful information. Artistic images included on this page are photos taken from the information boards around the mine area by essentially-england.com. Naturally, being in England we have to mention the weather (again). If you hadn't noticed it gets several mentions here, and even during our walk we bumped into a local who lived in one of the houses within the mine area. "The rain always comes from the hills over there. Looking at them now you have several hours before rain starts." That was from years of experience of living at Snailbeach. And guess what, just as we got back to the car park the heavens opened, which gave us a good excuse to jump in the car and have lunch in the lovely Stiperstones Inn a short drive up the road. 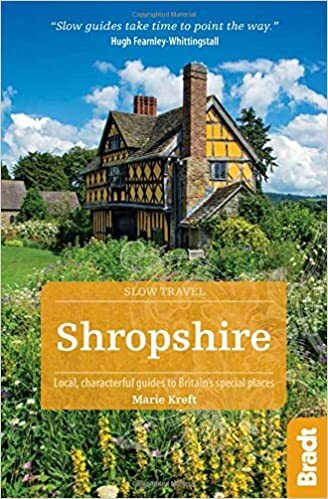 If you enjoyed reading about Snailbeach mine and would like to read more about the area and its history then please return to our Shropshire page here.